You're sitting at your computer. You have a big cup of Coffee or Sweet Tea, perhaps a cat or two on your lap, and you're PLOWING away the words. You may be writing great, or you may know it's a little bit crappy, but it doesn't matter. Look at your word count! You're flying towards your goal! But... Something doesn't feel right. You're using the same ones over, and over, and over again. You've described the same this three times, and used the SAME words! You're using bland words that don't convey the emotion properly! Oh, no. This is just TERRIBLE! But wait, this can be fixed! The only way I've found to make this not happen is to FIRST: Program your mind to NOTICE when you start to get repetitive. 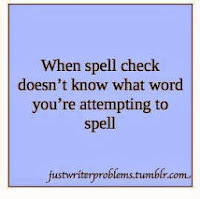 This is a hard thing, and it will often slip sometimes and you won't notice, but that's what rereading is for, right? So, when you get that awful feeling, force it into your head to notice WHILE you're writing. I've finally achieved this, and I notice nearly every time I use a word that was already in the past paragraph/sentence/page, or a boring word. I know I hate it when books keep repeating the same words TIME AFTER TIME like there aren't 135 words that mean the exact same thing you could use instead. And SECOND, you need to have the Thesaurus.com open on your browser. This may sound lame, and incredibly tedious, but I promise, it makes a HUGE difference. Anytime you want to find a different word, or you're repeating, or any number of other things, look to this tab. 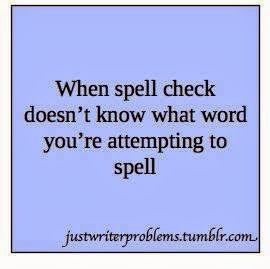 The first few times I've done this, I noticed just how many times I needed to use Thesaurus.com in only five pages full or so. At first it was annoying; I realized how often I needed to find a new word, and it was began to make me feel small. How many times did I actually need to use this thing? I'd rather stumble on unknowingly than take the time every few sentences to click over to my other tab, right? I started to use it less often, but not because I chose to ignore my repeating or old and boring words; I was doing it ON MY OWN. It's like I BECAME Thesaurus.com, using all of these rare, brand new words. I programmed my mind to not only NOTICE when I use a repetitive/old word, but also to instinctively FIX it. My writing got SO much better, just in the course of a week or so! My words became fresher and better chosen, and it hardly took any effort from me. This is an aggravating practice, but trust me, it pays off in the end. There are many, many words out there, so why not use them? Do YOU guys have any other methods for easily fixing repeating and old words? And just for fun, what are you FAVORITE words? I would love to know! Thanks for reading, and have a wonderful week!